Wu Yi tea typically refers to oolong teas grown in mountainous regions by the same name in China. These teas are naturally sweet and floral in flavor and aroma. There are several varieties of this oolong tea with varying quality, processing and uniqueness. Taking a sip of any of the teas grown in this Wu Yi Mountains is a wonderful experience. With none of the bitterness of green teas and with little astringency, these are delicate teas made to be enjoyed just as they are time and time again. Come and learn more about these Chinese oolong teas! Wu Yi tea (or Wuyi) is the name given to all teas grown in the in mountainous regions of Wuyishan (Wu Yi Mountains) in the Fujian province in China. Only tea grown in this area is considered authentic Wu Yi tea. Typical Wu Yi teas are oolong teas, semi-oxidized at a low level of oxidation (12%-15%), twisted in appearance, although there may appear oolongs tea from this region with higher levels of oxidation. These teas may also be called Rock Teas (yancha) due to the mineral content of the terrains where the plants grow. This distinctive characteristic leaves a somewhat mineral flavor and richness in the infused tea. It is said that the first oolong teas were produced in the Wu Yi Mountains. During the Chinese Ming Dynasty (1368 – 1644) monks developed the art and techniques of semi-oxidation using pan firing techniques that enhanced both the color and the flavor of these teas. Soon these amazing teas would soon grab the attention of the emperors of China and start being produced as tribute teas. In the 18th century tea farmers began to migrate from China to Taiwan taking their tea plants and tea producing knowledge thus spreading the production of oolong tea beyond the Wu Yi region. The unique conditions of the Wu Yi Mountains are perfect for growing tea: rich soil with a high mineral content, humid climate and a narrow valley that makes harvesting more difficult but the tea so much better. Processing oolong tea takes several step and each variety results from slight variations in the process along with the choice of leaves and buds to be harvested. Withering - This is the first step after the harvest. Leaves are set out in the sunlight to remove moisture from the leaves and allow oxidation to begin. This lessens the grassy flavor typical of unprocessed green teas. Tossing/ Bruising – for oxidation to take place the cell tissue of the leaves must be broken. Tossing of the leaves in bamboo baskets achieves this. 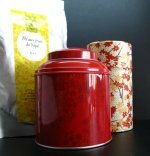 Leaves begin to darken and turn a bit red and this also reduces bitterness in the tea. Rolling / Shaping - hand-pressed, the leaves are rolled by hand to give them the desired shape and to intensify the flavor locked inside the tea leaves. Drying - this step helps to stop the oxidation process and reduces moisture down to a minimum. Firing / Roasting - this final step is optional for oolong teas, so some may be left unroasted after drying, while other may be roasted in a traditional pan over charcoal or in a modern oven to achieve a smoky flavor. Zhengyan / Wu Yi authentic tea – this is the official Wu Yi oolong tea growing region at the center of the Wu Yi Mountains. Teas produced here have the best quality. Banyan / Wu Yi half cliff tea – tea grown in the peripheral areas of the Wu Yi hills. Still very good quality teas. Zhouyan / Wu Yi stream cliff tea – further away from the official region and along the shores of several streams, this tea has medium quality. All these varieties have a great deal to offer you in terms of health benefits on a daily basis. Chinese Wu Yi teas are rich in minerals, vitamins, antioxidants, amino acids and caffeine. All these components make these teas healthy and offer great benefits for your health. Drinking Wu Yi tea on a daily basis may help if you suffer from digestive problems such as indigestion, slow digestion and bowel problems. Caffeine and antioxidants in tea help boost your metabolism, meaning that you are able to digest foods faster, reducing acid reflux and stomach pains. Better metabolism may also help with bowel irritation and constipation. A cup of tea may also help you to lose weight. A healthy metabolic rate helps your stomach to break down food faster and move it along your digestive tract so that only the nutritious elements are absorbed while fat is eliminated. Polyphenols in oolong tea help to stimulate enzymes in your body that burn fat and eliminate it from your organism. Along with a healthy diet and exercise you may start to lose weight. Rich in polyphenols, minerals and vitamins, Wu Yi oolong tea may help boost your immune system. By boosting your defenses, tea may help prevent disease and reduce your recovery time as well. So if you feel sick, have a cup of tea. Drinking this Chinese oolong tea may help to prevent diseases caused by infection and inflammation. Oolong tea may be both stimulating and relaxing at the same time. This is because all teas that come from the tea plant camellia sinensis contain both caffeine and the amino acid L-theanine. Caffeine in tea works differently than caffeine in coffee. Instead of a sudden energy burst that lasts a short time, caffeine in tea is slowly released into the blood stream keeping you energized for a longer period of time. L-theanine is an amino acid that is present in tea and is responsible for relaxing the senses and calming your nerves. So have a cup of tea when you feel stressed as it may help you keep alert but focused and mentally aware. Wu Yi tea contains antioxidants may help you to prevent heart disease and stroke by lowering bad cholesterol levels, hardening arteries and overall improving your heart health. A great tea like this one may help reduce hypertension and because it is naturally sweet you do not need to add any unhealthy sugars, making this tea a great complement for reducing the effects of Type II diabetes. A tea like this one may help to promote healthy bones and teeth due to the presence of calcium and fluoride in each cup of tea you drink. Wu Yi tea may also reduce plaque and decay in your teeth, keeping your digestive system healthy by preventing the occurrence of bacteria in your mouth that could travel down to your stomach and make you sick. Natural antioxidants in Wu Yi tea may help to prevent a number of diseases starting by helping to detoxify your body of unwanted toxins that cause infections and disease. Antioxidants in tea may help to fight free radicals, harmful elements that enter your body due to environmental pollution and daily stress. These free radicals may cause the growth and spreading of tumors, so any help preventing them is welcome. Free radicals also may cause premature aging of the skin, so drinking a daily cup of Wu Yi tea may actually slow this aging process down as well as keep your skin hydrated and looking fresh. Wonderful, isn’t it? For more information, have a look at Oolong tea benefits and see what more this type of tea has to offer you. Do you wish to try Wu Yi now? Wu Yi tea is a variety of oolong tea that contains light to medium levels of caffeine. Caffeine levels depend on a lot of factors, particularly if the tea contains a high amount of buds and young shoots as it is in these that the tea bush stores more caffeine as a deterrent to predatory insects. If you are sensitive to caffeine you may experience headaches, agitation and nervousness, heart palpitations, difficulty sleeping and insomnia. For some, caffeine may provoke an allergic reaction that causes stomach problems, bowel irritation and even skin irritation. If you are pregnant or breastfeeding make sure to talk to your doctor about drinking caffeinated teas on a daily basis. The amount of caffeine you ingest on a daily basis may affect the development of your baby. Drinking tea in moderation is ideal to getting the most out of its benefits with the least negative impact. Although each variety of Wu Yi tea should be brewed according to the instructions best suited for it, here are some general suggestions for to guide you. Let’s learn how to brew Wu Yi tea. If you have a gaiwan or a small Yixing clay teapot, these items are great for brewing this tea in the Chinese Gongfu way. 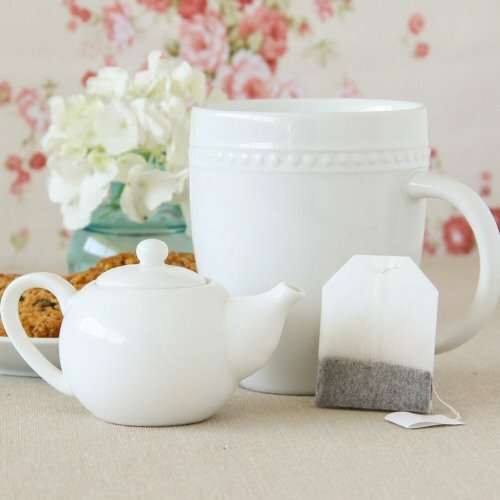 For Western style brewing, choose a nice porcelain teapot and white teacups to be able to see the natural color of your tea. Use hot water to quickly heat up your teapot and cups, this way the tea will not cool down too quickly when the water hits the cold walls of your tea ware. In the Chinese way, you should fill your teapot to about half way. If you use less tea leaves, then increase steeping time. In the Western way, place about 2-3 teaspoons of tea per cup of water inside the teapot. Rinse the tea leaves with hot water that should be quickly discarded – about 5 seconds in more than enough. This helps the tea leaves to open up and removes any remaining dust. You don’t need boiling water to brew this tea. In fact, the best water temperature for this Chinese oolong tea is just below boiling – 90ºC to 95ºC (194ºF to 203ºF). The more tea you brew per cup, the shorter the steeping period. Steeping tea in the Chinese Gongfu way should be about 30 seconds long and then increase 15 seconds per subsequent infusion. When making your tea in the Western way then let your tea steep from as little as 1 minute for a weak tea to as much 5 minutes for a stronger tea. Adjust steeping time to your liking. Always make sure to empty the teapot when serving your tea, so as to stop steeping time and allowing tea leaves to be reinfused about 3 to 5 times. This tea brews light-colored liquor with a sweet and floral aroma. Depending on processing techniques, the tea may also have a roasted scent. Take a sip and feel the natural sweetness of this tea. It requires no sugar or honey to enhance the fruity, floral and somewhat distinct mineral and earthy taste that is unique to Wu Yi teas. 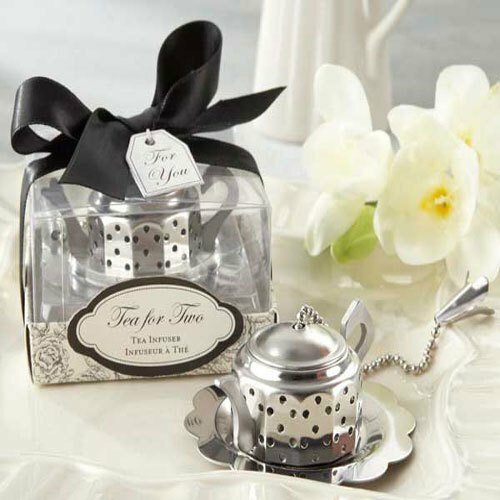 Adjust the amount of tea per cup and steeping time to your liking and reinfuse your tea to discover new and wonderful layers to the flavors and aromas of this tea. Experiment and enjoy drinking your tea. This is a great tea to have with milky sweet desserts or dried fruits. Buy Your Wu Yi Oolong Tea Today! Click on the image or on the link below to purchase from Art of Tea your Wu Yi Oolong. This organic oolong tea grown on the mountainsides of Wu Yi is made of long large leaves that brew a smooth and rich flavor. Woody, crisp and roasted this is a tea that contains a medium level of caffeine. Try Wu Yi Oolong tea now! With so many varieties of Wu Yi tea, you are sure to find a Chinese oolong tea to suit your palate and that you can enjoy every day. Have a great tea adventure!